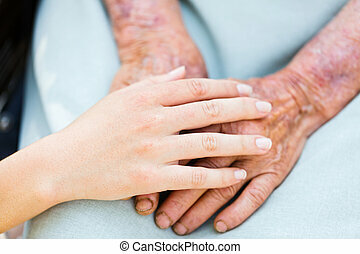 Helping elderly peoplee. 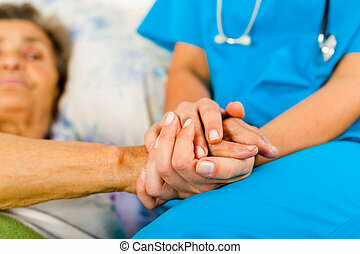 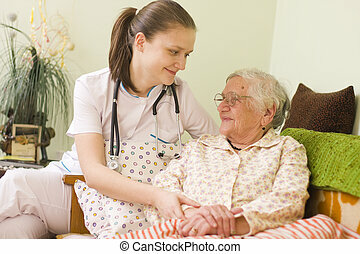 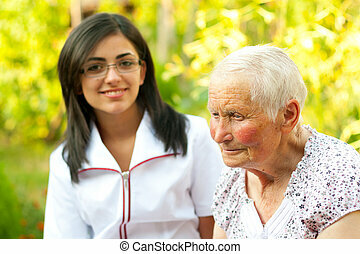 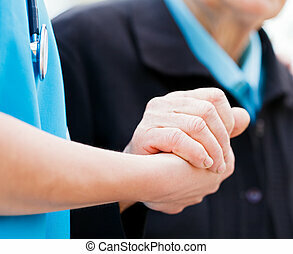 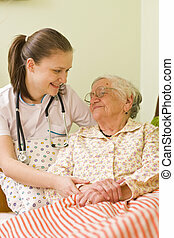 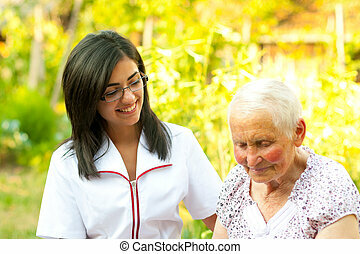 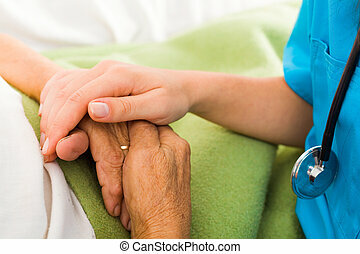 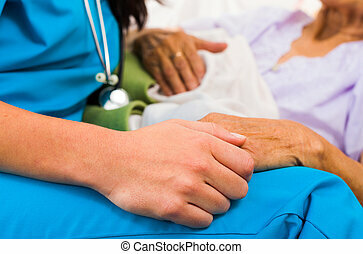 Portrait of caring nurse helping elderly lady holding her hands. 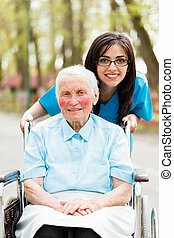 Caring nurse or doctor helping elderly patient to sit down on her wheelchair. 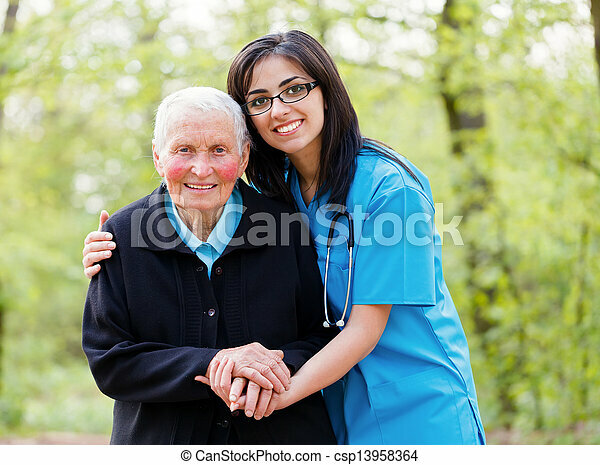 Old lady outdoors sitting next to a young doctor / nurse. 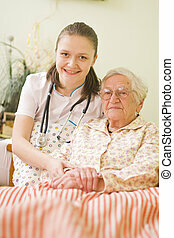 Homecare nurse helping elderly register for nursing home. 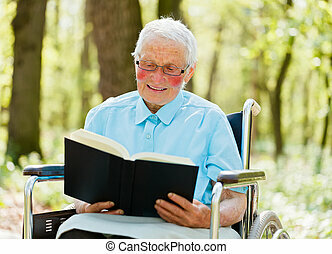 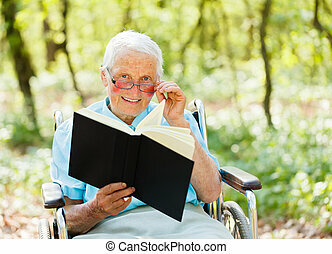 Elderly woman in wheelchair holding and reading a book. 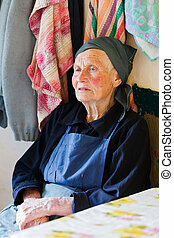 Tired elderly rural woman sitting in her room and resting. 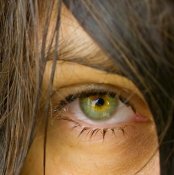 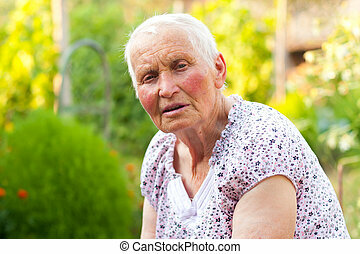 Elderly lady with blue eyes outdoors. 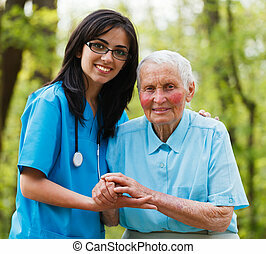 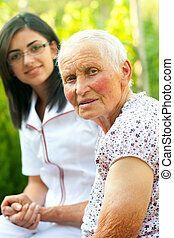 Sad elderly woman and caring nurse outdoors. 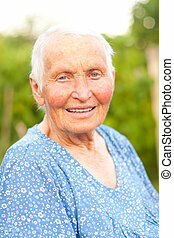 Happy elderly woman with blue eyes outdoors. 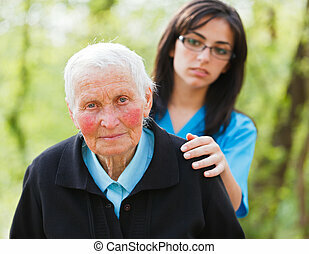 Portrait of an elderly lady and a kind nurse helping her. 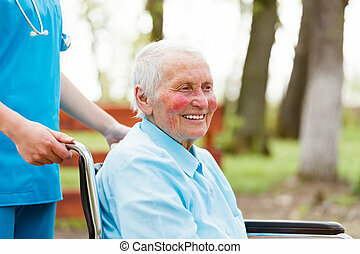 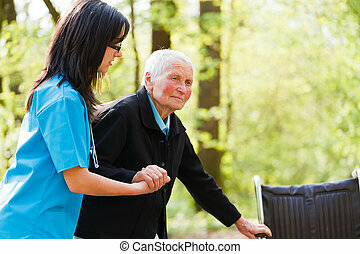 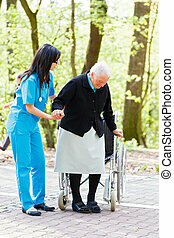 Smiling elderly woman outdoors in wheelchair walked by nurse. 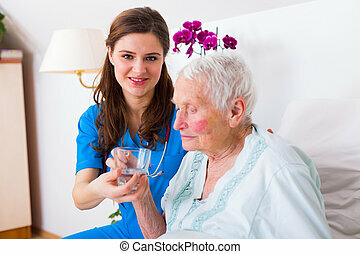 Kind geriatric doctor bringing water to the senior woman in need. 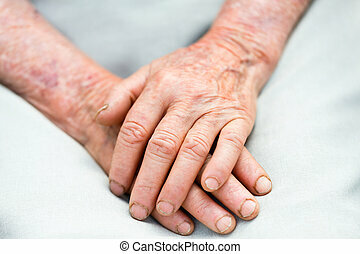 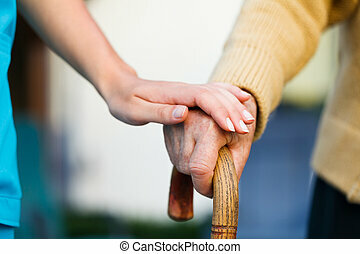 Elderly hands held by a young person - helping concept. 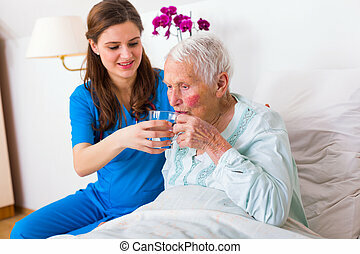 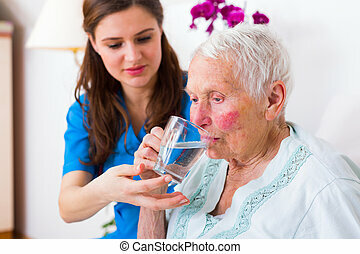 Caring nurse helping sick elderly woman to drink in bed in a nursing home. 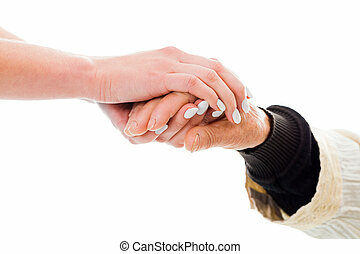 Caring woman hands over elderly hands being concept of trust and reliability. 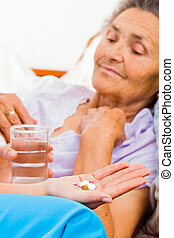 Elderly lady with Alzheimer's disease taking pills.